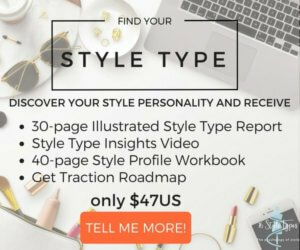 In this series of posts which we’ll share at random intervals as inspiration strikes us, we’ll be sharing One True Thing about each of the 16 Style Types. These nuggets of truth and wisdom will be related to style as well as to other aspects of life and beinghood. One True Thing is a bottle of liquorice allsorts. Liquorice Allsorts are a confectionary (sweet, candy, lolly). Created in the late 1800s and originally called “chips, rocks, buttons, nuggets, plugs and twists” because of the variety of treats in each bag, all of the sweets/candies/lollies are of similar size and have other consistent qualities amongst their differences. Same here – each bite-size piece is a similar size to the others, made of similar but not exactly the same ingredients, and different in some important way. Please enjoy this first instalment of One True Thing! There’ll be more to follow. They’d sooner be out there roller-blading (or something) than in here. The most paradoxical in many ways — driven by ideas and possibilities but needing clear parameters and guidelines. There’s a lithe flexibility to the way they move that makes them compelling to watch. Happy to play devils’ advocate and tip the apple cart over. Their personal work and production credo has them staying the distance. There’ll be an ENTJ-shaped void where the thing they don’t want to do or be involved in is. They seem more confident than they often feel. That upbeat friendly thing is real but there’s a wellspring of complex emotions beneath the surface. If they’re interested, you won’t be able to stop them. If they’re not, you can barely get them started. To understand the application to themselves, they have to understand the entire system. Everything points in the direction of it. They’re deeply affected by it. Pay attention – read twice, don’t jump, scan, or skip, you’ll miss the gold. They filter most information through a literal lens. So much more than ever comes near the surface is going on. Their inner sage holds the light. I am an INTJ and the One True Thing is soooo me! !